I am so excited for a new menu planning series on this blog! 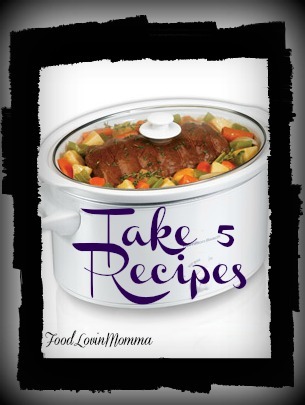 I am always struggling with what to do with leftovers since Little A is super picky about slow cooker meals and they are kind of my obsession :) Out of the stacks of storage containers in the refrigerator, Take 5 Recipes was born! In this series I will start with a slow cooker recipe that can be stretched throughout the whole week. Not only does this save time and money, it makes menu planning so easy! If you can't stand the thought of eating the the same base meal 5 days in a row, this can definitely be frozen and reheated later in the month. 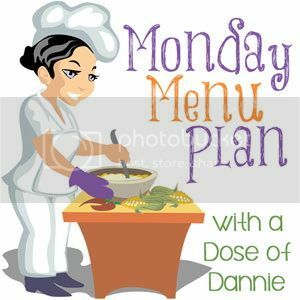 Monday: Slow Cooker Catalina Chicken you make need to increase the amounts depending on the size of your family and their appetites. Tuesday: Catalina Chicken Tacos/Burritos Use the shredded chicken to make tacos or burritos. Our favorite way to serve them is with mashed potatoes (instead of sour cream), shredded cabbage and a little bit of cheese yum! Well there you have it, Take 5 Recipes Issue #1! Hope you enjoy it as much as I enjoyed writing it. Thanks for following! I am also a huge fan of my slow cooker, makes my life so much easier :) I will definitely follow back! Great idea this! I think I'd probably make and freeze some though! I don't think I'd manage the same base meal 5 days on the trot. Visiting from Not Your Ordinary Blog Hop. The only thing I would change is to use some of our Thrive ingedients.